Sports Illustrated has put out a piece on the “Worst non-active player by franchise” for each and every franchise, the Panthers included. 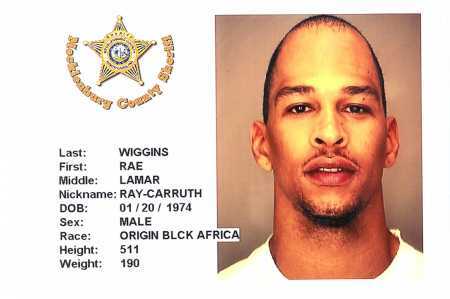 The player that the author the piece, Doug Farrar, picked was a choice that will probably be remembered for all the wrong reasons – that being wide out Rae Carruth. The Panthers took Carruth in the first round of the 1997 draft out of Colorado, and for a while, it looked like things might work out. He caught 44 passes for 545 yards and four touchdowns in his rookie campaign, but played in a total of just seven games over the next two years. Why is Carruth the worst player in Panthers history? Because in 2001 he was found guilty of conspiring to murder Cherica Adams, the woman who was carrying his child. Adams died in the shooting, and the child, Chancellor Lee Adams, suffered permanent brain damage as a result of the crime. I’ve been told by one former Panthers executive that nobody on the team saw this coming—Carruth had no criminal history to speak of, or at least any history they were able to uncover. He was sentenced to 18 to 24 years in prison, with a projected release date of Oct. 22, 2018. The horrible story had a long-lasting impact on the franchise. It put a pall over the tenure of first-year head coach George Seifert, it changed the philosophy of owner Jerry Richardson, who became much more hard-line about off-field character when vetting draft prospects, and a lot of people had to answer for the actions of a player who surprised just about everyone in the organization with what he did that day.